What if I told you that your life really could change for the better by using high-quality essential oils? Can I be honest with you? We probably have a little bit in common. I have struggled with feeling tired and worn down so often and for so much of my life. Even though we have several healthy habits, I don’t eat a perfect diet. I struggle with health issues. Fatigue, brain fog, tension, thyroid issues, etc. etc. My kids struggle with their own issues. If you are like me and have health struggles, then hey – I know a little about how you feel. I know about pharmaceuticals. I tried them for a while, for each of our issues. I soon learned there was a problem: with almost everything we tried, our struggles weren’t alleviated. Not only that, but medicines seemed to take more than they gave – in side effects. They didn’t help us. Seeing your babies suffer from skin/digestive issues is hard, and I think I have it somewhat easy considering all the other ailments out there too. I know it could definitely be worse. I know it probably sounds strange – I was very, very skeptical at first. I have used essential oils for years, but it was always for making homemade care products like toothpaste, deodorant, etc., and not for health issues. Honestly, I always prided myself on purchasing discounted oils through Amazon or other online vitamin shops, but I never saw great results, even with homemade products. The scents didn’t last long, and it took sooo many drops to create the scent/flavor I was going for, so I ended up going through oils quickly, which was frustrating. I just kept using them, because I didn’t know any different. 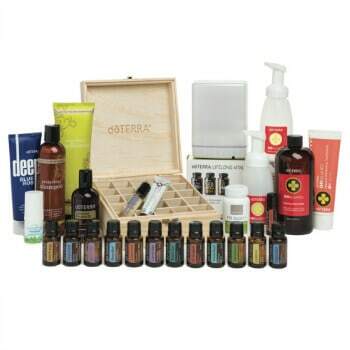 Then, at the suggestion of a friend, I purchased an introductory kit from doTERRA. I was willing to try them, but honestly not expecting much in the way of improvement. After all, I had already been buying what were called therapeutic grade oils off of Amazon. How were these any different? I wondered. Right out of the box, it was clear to me. My first use was lavender, and I simply put it on as a perfume. I noticed that after half an hour, when my usual oils would wear off, my new lavender was still going strong. Six hours later (seriously) I could still smell my lavender. Awesome! I became quickly convinced. And so our official essential oil journey began. We’re now supporting our health in so many ways – you name the health concern, I am confident I can find an oil to help. The great part is, unlike drugs, they don’t steal from your body in order to work. They truly do holistically support your body. It’s almost too easy – you can use oils as they come, dilute them, or blend them together in a roller bottle to help support your body. You can diffuse them, and if you wish, you can take certain oils internally. (I do NOT recommend internal use of any oils purchased from Amazon or health food stores – they are adulterated and diluted according to tests.) I have easily made blends to help my children get sweet sleep at night, I have a blend to support my thyroid health and more. We can get through cold weather and all that entails with boosted immunity now. I have the InTune blend to help my children (and me) concentrate during school. It really works! It saves us time, too, because they are less distracted and we are more efficient. The tight muscles in my jaw have drastically, drastically improved. I have a blend to help with energy when I can manage to work out, egh, and we easily have oils available in the inevitable event that we get boo-boos, owies, you name it. We can fend off bugs in the summertime with TerraSheild, a bug repellant. The list goes on and on. We’ve stopped using scented candles and sprays that can cause an array of health issues. We diffuse yummy essential oil blends and I can easily formulate the scent for any mood I want to create in our home. I feel so empowered by these oils. That’s why I want to share them with you. That’s what I do! Something changes my life, I write about it to share with you. And if you are in the same kind of journey, you can be helped and find relief too! I wouldn’t recommend them to you if I didn’t use them myself. I love their commitment to purity. They source their oils from all over the world and work very closely with the growers to ensure the best possible product. Each batch of oil undergoes seven different tests by a third party laboratory to ensure purity and quality (here is a link to more info on the testing). Also, dōTERRA is committed to working directly with growers to cut out middlemen, pay the growers a fair wage and grow the crops in a sustainable manner. Think fair-trade coffee, but with essential oils. I love their support and education. There is SO MUCH solid info available to those who order dōTERRA! There is a never-ending stream of printables, websites, audios, webinars, videos, and live events for those who want to learn. I love the company’s integrity and attempts to help communities. I tend to distrust large companies, and honestly, I was skeptical for a while. But I’ve been very impressed with dōTERRA’s co-impact sourcing and Healing Hands Foundation. I’ve seen firsthand the service that dōTERRA pours into communities around the world and it’s pretty amazing. I love that the owners are simple, frugal people. They drive older cars, live frugal lives, and know how important it is to stay humble and grateful. Truth be told, I’m a bulk shopper. Love Costco. Love getting the most bang for my buck. That’s why I started with a kit and recommend the kits to my readers too. It’s just the best way to get the biggest discount. 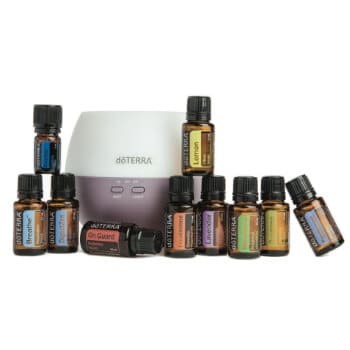 Start with a “bundle” of the most popular oils– you’ll get a deeper discount and your wholesale membership will be free! Nope– you can order as frequently (or infrequently) as you like. There isn’t one! There are no hidden fees, obligations, quotas, minimums, or strings-attached. Just high-quality essential oils, and as much help and support as you need. Do I have to commit to selling the oils to sign up as a wholesale member? Nope! Although building a team is an option, it is absolutely NOT a requirement as a wholesale member. Do I have to start with a kit? No, the kits are optional–but definitely the best value. Here’s to your health!! I’m ready to help in any way I can!